It was great to read of plans for a new recording in today's newsletter. Pete asked about formats, and, like him, I do cherish a physical object, but if download only makes more commercial sense, then I am happy with that. The main thing is that there will be some new material. Glad also to hear that plans for the Paris event are progressing - I am sure a good many of us will want to be there. Excellent newsletter - thanks Pete. Yay! Let's hear it for the compact disc; but I agree, if d/l is a more convenenient format for release, then so be it. Particularly looking forward to The Way You Are With Me. I recall with nostalgia listening with Ian Sorensen to his latest PA vinyl purchase whilst perusing the lyric sheet from the LP. Back in the 70s, one of the great joys in life was forking out one's hard-earned dosh in exchange for the latest release from the specialist record shop (how naff does that sound to today's yoof?!). Wonderful news about plans for a new album! I'm sure we'll all gladly accept in any format, but I'm also partial to the good old CD. A second Paris gig is an exciting prospect. The server that hosts my e-mails has crashed so ca someone send me a copy of the newsletter. Yes, may I add my thanks to Pete for the newsletter. It's an age thing for me also, so my first vote would be for a CD, but if a download-only version makes more commercial sense, then so be it. Can't wait! Many thanks Steve Is it easy to change my e-mail address on the subscription list? - your question in reply, and my response to that, for everything you need to know. We must be an old bunch - add me to the list of people who like CDs. And the new iCloud will not be backing up my Pete albums anyway! Thanks to Pete for circulating the first newsletter on our new system, and setting at rest the minds of all the faithful who wondered whether they'd succeeded in signing up to the new list! This is a warning that's already too late. The Hillside shop had an order a few weeks ago (from Japan! – thanks, Rob) which included a request for "9x2", the 'English Chanson' compilation put together a few years ago by the ever-admirable Robb Johnson. The team from Picking, Fulfilment & Dispatch reported back that the picking, fulfilment and dispatch of this item meant that stocks of this CD were now so low as to be all but non-existent, so it is with regret that we've had to withdraw it from the Hillside list. It occurred to me that my contributions to it (viz. specially recordings "The Beautiful Changes" and "Star of Tomorrow") are not encumbered with any rights of ownership other than my own, so there's no reason I couldn't make them freely available as a download. Since it's that nice Mr Birkill on whom I dump the responsibility for these things, and since he's busy with many more important things, I'm also leaving it to him to let it be known when these might possibly be available. Well, I'm pleased to announce that with immediate effect these two songs are available to listen to, or to download in high quality at absolutely no charge, from our all-purpose discography page. PS - The forum software forces these links to open the MP3 player in a new window, which can't be overridden for security reasons. To see things as intended please visit the discography. Thanks Pete, and thanks Steve: these weren't in my collection before. One more vote for a CD release. Far too important for a mere download. Ideally, double album with souvenir book. Box set in commemorative ivory-carved casket. Bound lyric symposium proceedings. 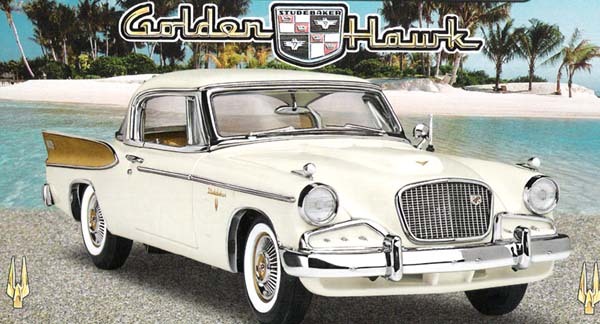 Special Edition Studebaker Golden Hawk. Stadium tour DVD. Bonus outtakes. I'm not too surprised by the lack of much enthusiasm for downloads. Of course, I may have unfairly skewed the response by stating my own inclination upfront, but please feel free to assume that a CD is what it will be. It's now just a matter of how much I can afford to spend and how long it all might take. I'll keep you informed, promise. Will this do? 1972 24-karat gold plated Cadillac El Dorado. ...and while we're at it, here's an Austin Princess with carnations on the roof. retaining their recognisable targets, something those 'short url' providers lose. 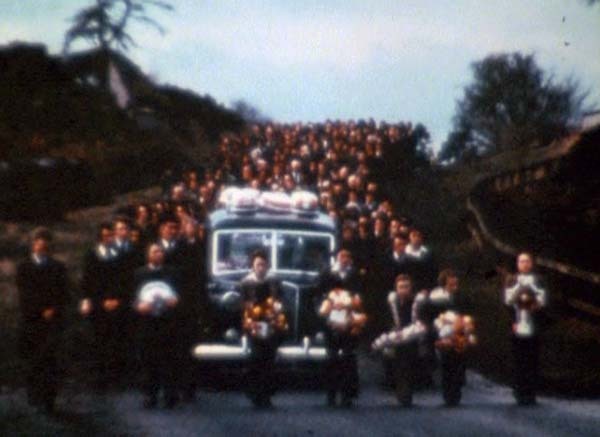 That song contains a wealth of imagery I could add to its lyrics page, and the pics in this thread would be a good place to start. New recordings from Pete are too rare and wonderful a thing to be limited to a mere download release. I'm also of the opinion that the Midnight Voices packaging is a work of art in itself, so cost and recent stock fires notwithstanding (easy for me to say) I think a proper CD is the way to go.